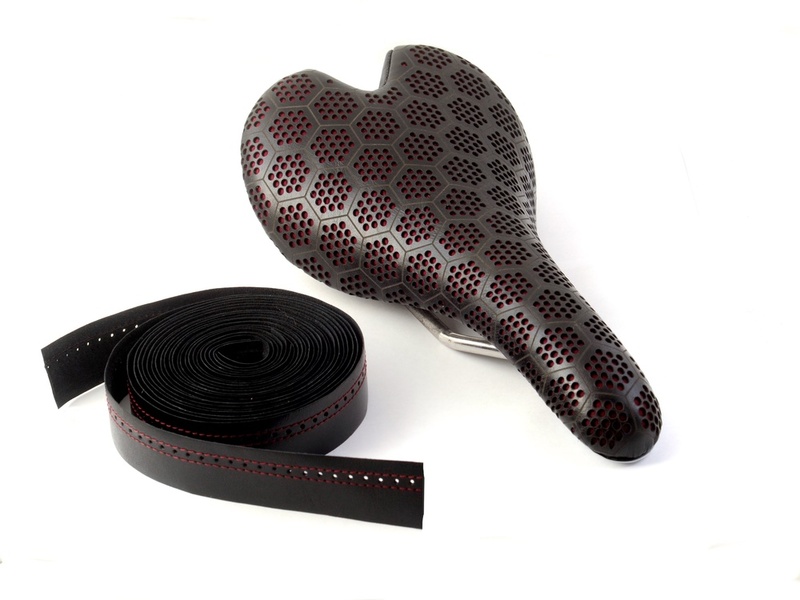 Leather Bar Tape, Leather Bicycle Seat, Bike Saddle, Brooks Seat, Cycling Accessories. 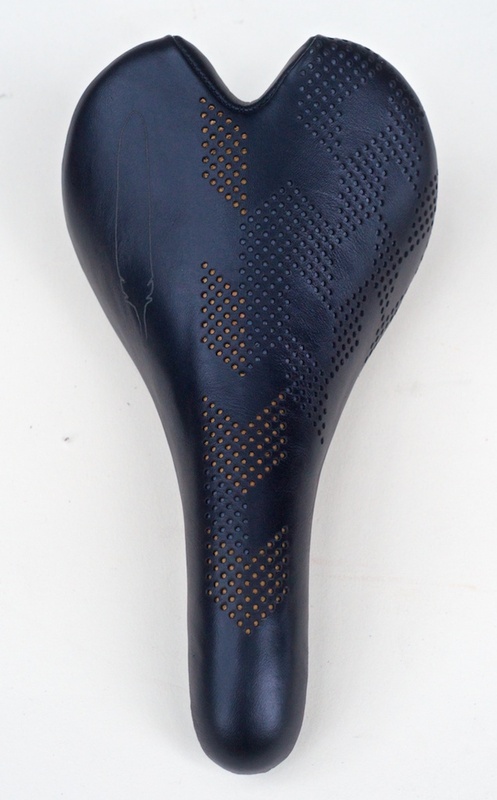 Fizik, Selle Italia, SMP Seat. 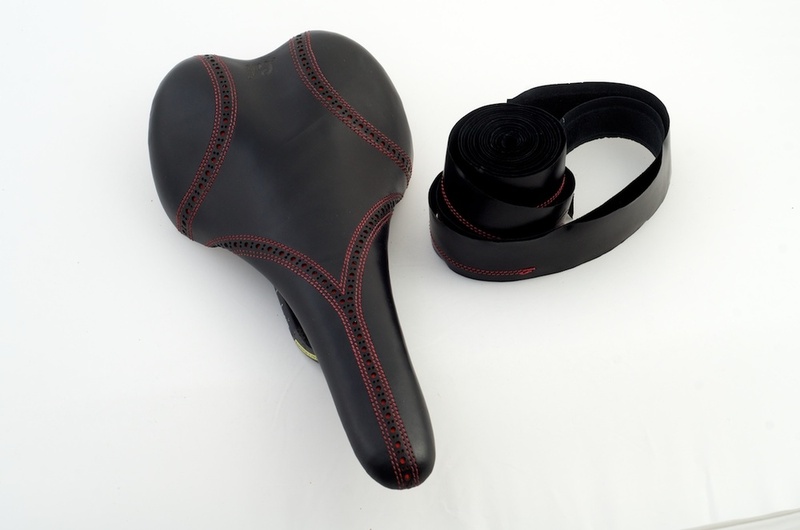 Custom Recovered Leather Bike Seats Upholstered by Hand In Austin Texas. 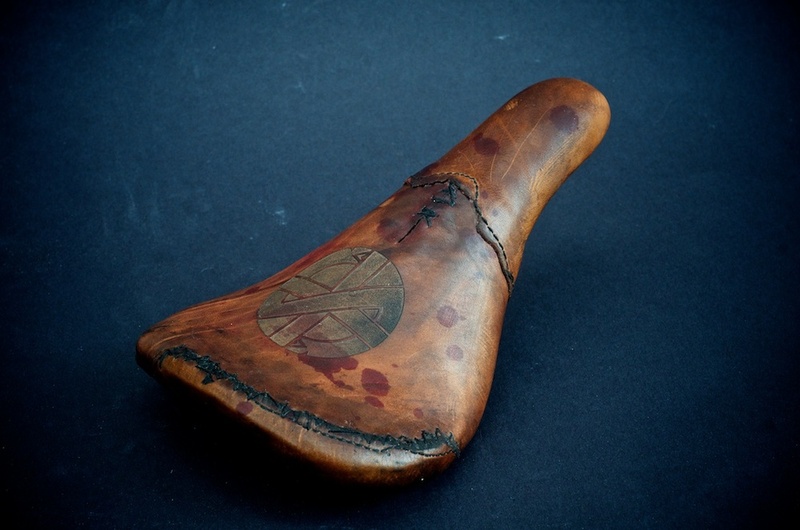 Custom Motorcycle Seats. Custom Furniture Manufacturing. 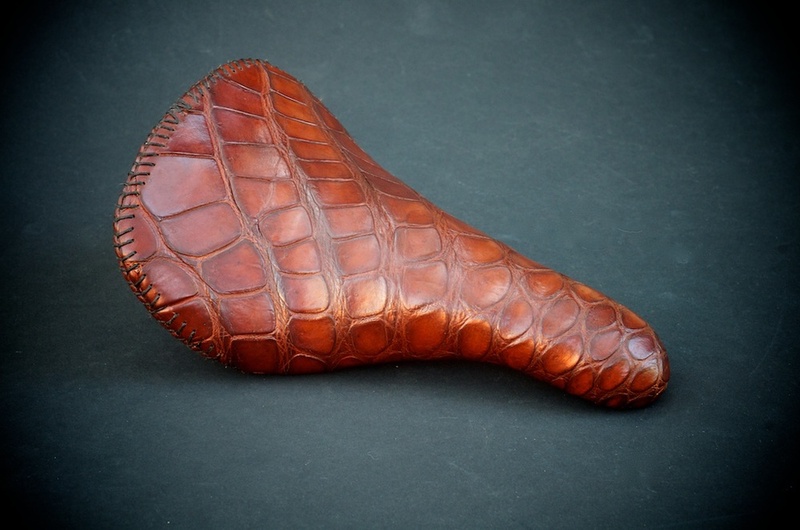 Unique Leather Craft. Product Design services. 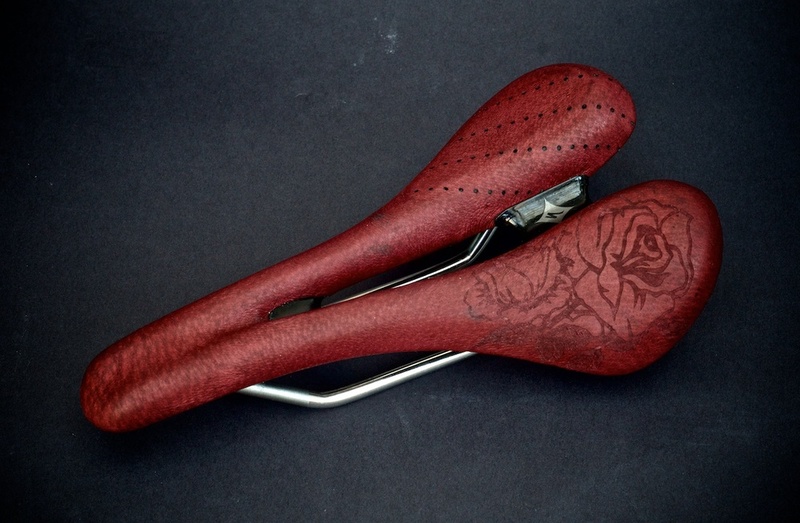 You will receive a printed Gift Certificate that can be redeemed for either Ready Made items or Custom Leather Work. Plain recovers begin at $100 and custom work can range up to $480+, depending on the materials used and detail required. 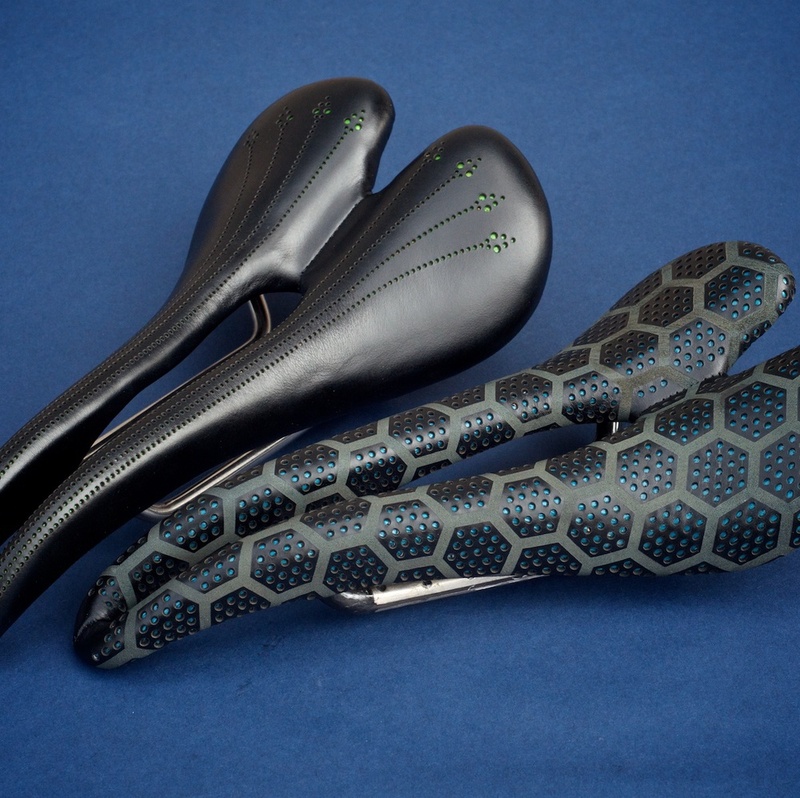 The majority of custom saddle designs fall between $180 and $380. Please inquire if you are unsure of the price level you should purchase for a specific custom design. We hare happy to announce a new Snow Camo pattern in our camo leather line. Our Snow camo tape is made from top grain leather printed and finished in the USA. 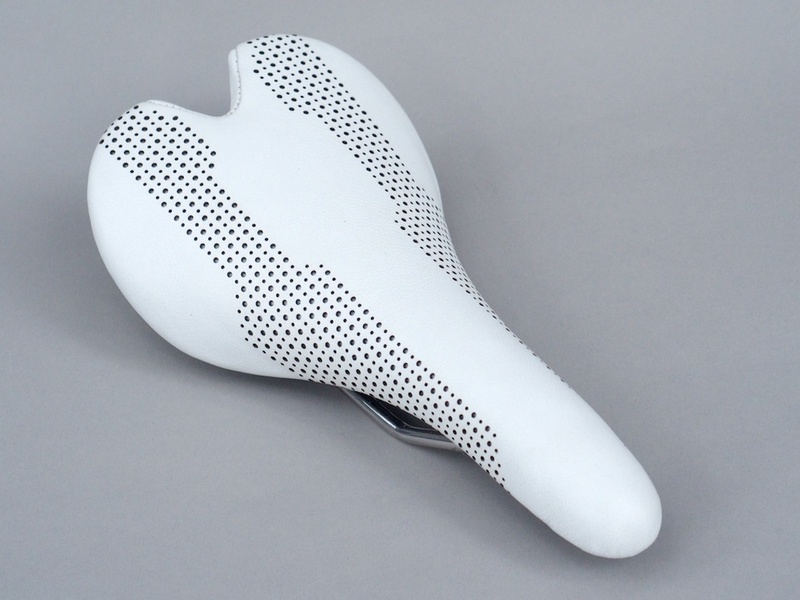 All our normal style options are available classic, stitched and stitched and perforated. Our new Mango leather featured on an Aliante. 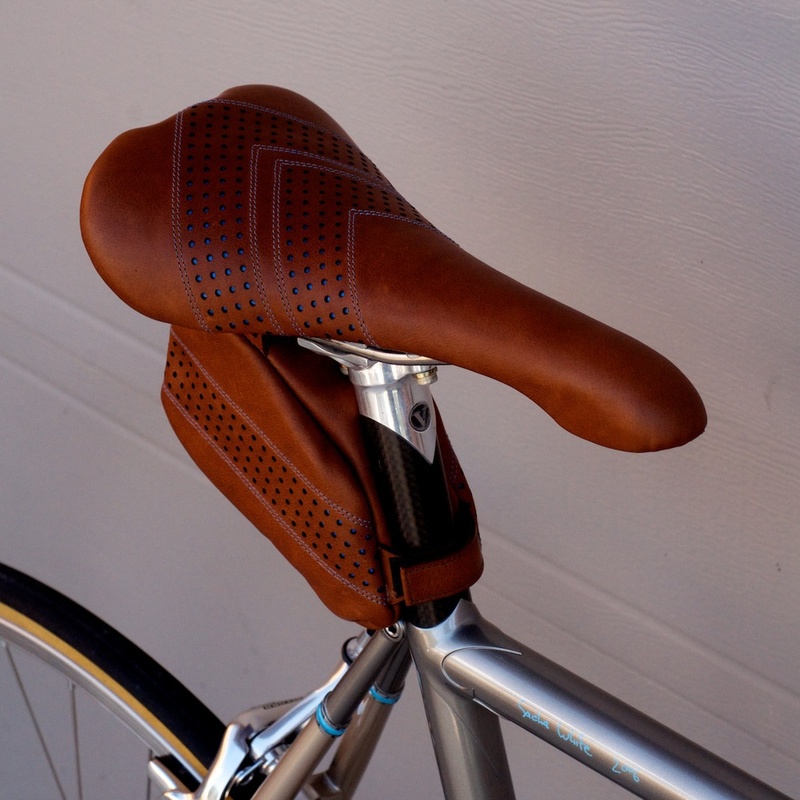 Our new Möbius Saddle Bag features a minimalist design, with hidden velcro attachment. Our zippers are sourced in Los Angeles, CA and offer smooth action and years of quality use. Available in any of our stock colors.